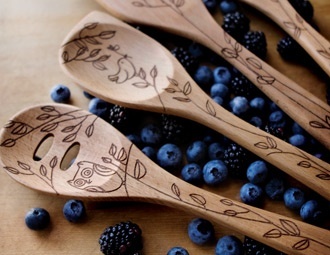 I have made a beautiful set of wooden utensils designed with pyrography detailing. 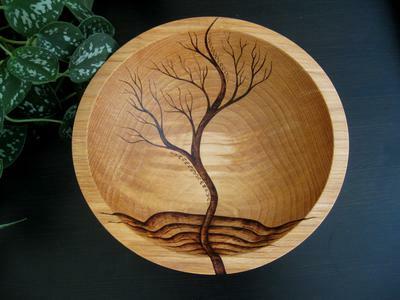 I also made a bowl with some designs in it and a cutting board also. I was wondering if the finishes you are talking about would they work over the pyrography? Would it seal the wood enough to be safe to use? 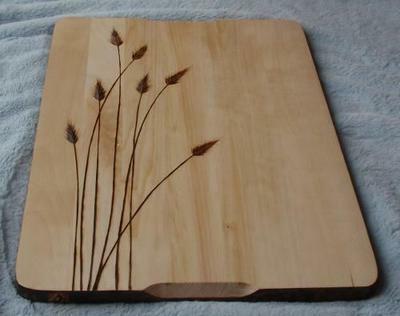 I also want to make a table top with pyrography designs, but I would need to make sure the finish seals the wood and protects it but also is safe... sunlight/water/food. If you could help me that would be great!! If your purpose is to use them for food then yes my food safe wood finishes would protect the wood. You should reapply often the wood finish of your choice as use and washing will slowly remove them. If they are purely for decorative purposes then the natural finishes would work great as well and only would require occasional reapplication to prevent drying out.